Another great summer of weddings with lovely couples. Congratulations to them all. I’m always working to maintain and improve the cars. 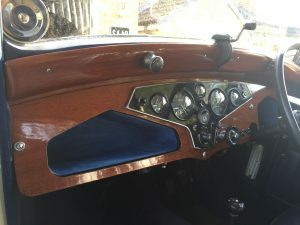 This year’s main task for Audrey was to to make and fit a new dashboard. A vast improvement on the previous one (from an earlier restoration) and really lifts the interior.